OSAMA BIN LADEN’S spokesman and son-in-law has been captured by the United States, officials said Thursday, in what a senior congressman called a “very significant victory” in the fight against al-Qaeda. Sulaiman Abu Ghaith is expected to be in US federal court in New York on Friday in an initial hearing to face terror charges, according to a law enforcement official who spoke on condition of anonymity because he was not authorised to release the information. The case marks a legal victory for the Obama administration, which has long sought to charge senior al-Qaeda suspects in American federal courts instead of military tribunals at the detention center at Guantanamo Bay. Rep. Peter King, the former chairman of the House Homeland Security Committee, credited the CIA and FBI with catching al-Qaida propagandist Abu Ghaith in Jordan within the last week. He said the capture was confirmed to him by US law enforcement officials. A Jordanian security official confirmed that Abu Ghaith was handed over last week to US law enforcement officials under both nations’ extradition treaty. He declined to disclose other details and spoke on condition of anonymity because of the sensitivity of the matter. He is identified as a major al-Qaeda core official by the New America Foundation think tank in Washington. King said Abu Ghaith was involved in the planning in the 9/11 attacks against the World Trade Center and Pentagon. “His capture and extradition not only allows the US to hold — and perhaps try — a reputed al-Qaeda core survivor, further tarnishing the AQ core brand, but it also points to the dangers for those few remaining al-Qaeda core refugees,” Lynch said. It’s likely that Abu Ghaith will face a host of terrorism-related charges and possibly murder, which could carry the death penalty, said attorney Michael Rosensaft, who was a prosecutor in the US Attorney’s office in Manhattan until last fall and is now in private practice. He predicted the case will last months, if not years, and that some of the evidence against Abu Ghaith will be a challenge for prosecutors to bring to court if it is classified. Abu Ghaith’s trial will mark one of the first prosecutions of senior al-Qaeda leaders on US soil. Charging foreign terror suspects in American federal courts was a top pledge by President Barack Obama shortly after he took office in 2009 — aimed, in part, to close Guantanamo Bay. Since 9/11, 67 foreign terror suspects have been convicted in US federal courts, according to watchdog group Human Rights First, which obtained the data from the Justice Department through a Freedom of Information Act request. By comparison, of the thousands of detainees who were swept up shortly after the terror attacks and held at Guantanamo Bay, only seven were convicted by military tribunals held at the US Navy base in Cuba, the watchdog group said. The vast majority have been sent back overseas, either for rehabilitation or continued detention and prosecution. The Turkish newspaper Hurriyet reported that Abu Ghaith was caught while passing through Jordan, on his way to Kuwait, shortly after leaving Turkey. The newspaper said that Abu Ghaith was taken into custody more than a month ago at a luxury hotel in in Ankara, the Turkish capital. But Turkish officials decided he had not committed any crime in Turkey and released him, the newspaper reported. In Ankara, Turkish officials refused to confirm Abu Ghaith’s deportation or his capture in Jordan to The Associated Press. In Amman, the Jordanian capital, a security official said he had no information on the CIA arrest in Jordan. US intelligence officials in Washington and New York refused to comment on the case. 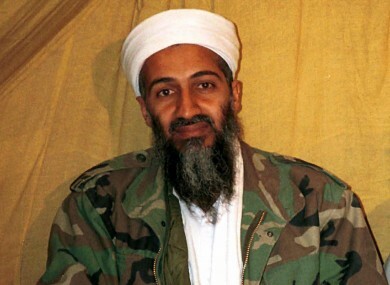 Email “Bin Laden son-in-law captured, faces terror charges in New York”. Feedback on “Bin Laden son-in-law captured, faces terror charges in New York”.